The next element of Microsoft’s Surface line is here, and the anticipated Surface 3 throws up a couple of (nice) surprises. Starting at $499, the Surface 3 will complement the Surface Pro 3 by offering a 10.8-inch device in a 1920x1280 resolution. That sounds a little odd being a bit more than full-HD, but offers a 3:2 resolution like the larger Surface Pro 3. Under the hood is Intel’s new Atom x7 which we discussed briefly during the Atom re-naming launch earlier this year, which means a 14nm class device featuring Airmont cores and the direct upgrade from Silvermont and Bay Trail. The release states that this is the high end model, which would suggest a quad-core Atom design running above 2 GHz. Microsoft/Intel are not directly calling this Cherry Trail, and our discussions with Intel seem to avoid the Cherry Trail nomenclature, but the SoC will be partnered with 64GB or 128GB of storage, plus a 4G ‘LTE Ready’ version will be coming later. 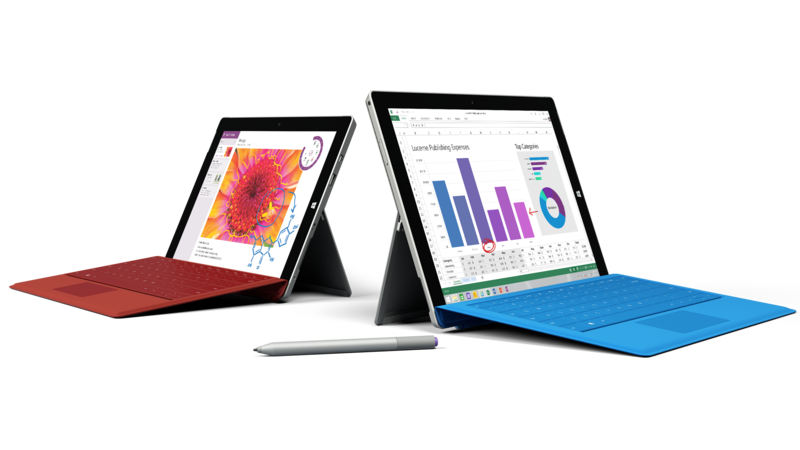 The Surface 3 is being billed by Microsoft as the thinnest and lightest Surface device, and will run the full Windows 8.1 inside which can be upgraded to Windows 10 later this year for free. The price will include a 1-year subscription to Office 365, as well as 1TB of OneDrive storage. On the device will be a full-size USB 3.0 port, a mini-DisplayPort and a microSD card reader to supplement storage. Charging comes via a bundled fast-charging micro-USB, although it can also be charged with a standard smartphone micro-USB as well. Battery life is listed as 10 hours for video playback, with the screen being described as having ‘incredibly accurate colors’ – here’s hoping for a calibrated display out of the box. Front and rear cameras (3.5MP / 8MP) are designed to both capture 1080p, with an auto-focus feature on the rear camera. The device on its own will be 8.7mm thin, weighing in at 622 grams (1.37 pounds), and seems to not feature the kickstand that Anand liked in his Surface Pro 3 review. Instead we get a standard 3-position stand. Accessories start with the standard Type Cover but also include a Docking Station with more USB ports as well as ‘The Surface Pen’. 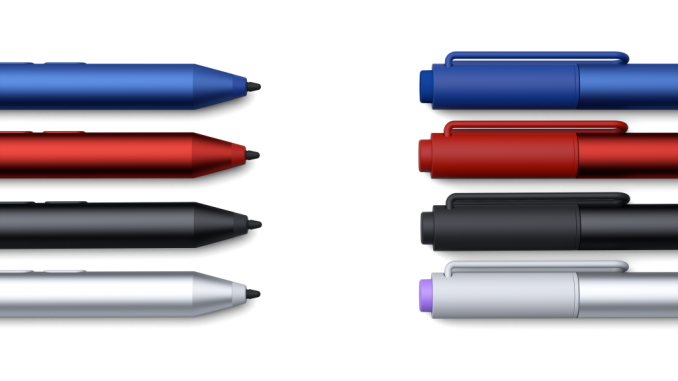 The new digital pen will be available in red, blue, black and silver with 256 levels of pressure sensitivity - we presume this is an N-Trig design although we’re waiting for official confirmation. 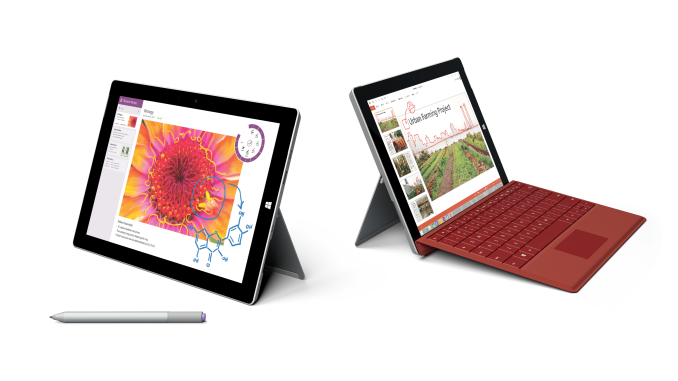 The Surface 3 and accessories are now available for pre-order in the US, shipping on May 5th. Resellers and partners should have availability on May 7th, although from 1st April users should be able to head into a Microsoft Store in Canada, Puerto Rico and the United States for some hands on time before full launch. We’ve already put in our request for a review unit. 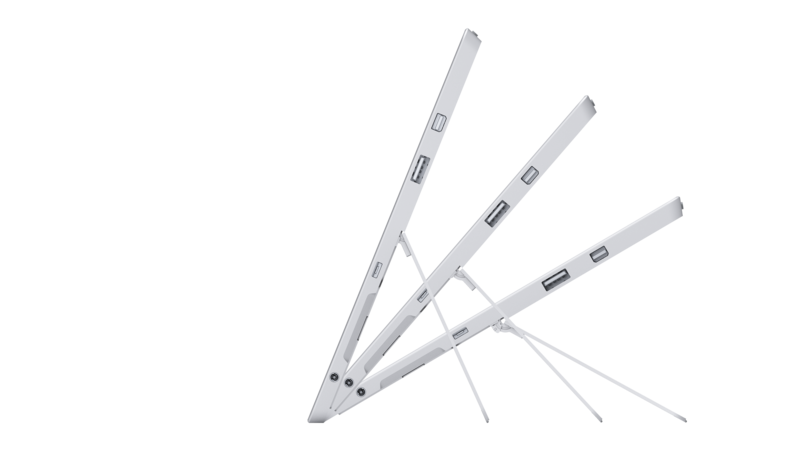 Edit: This news post originally stated that the kickstand was the same as the Surface Pro 3. This error has been adjusted due to new information. Apple charges $100 for the jump from 64 to 128GB iPad. Your snark would be more effective if you restrained yourself to points that are actually true (ie that MS also throws in 2GB of RAM). Thanks for the unnecessary hostility, first of all. No snark was present in my comment, contrary to your erroneous inference. Second, Apple charges $100 for the jump from 64GB to 128GB, sure. They also charge $100 to go from 16GB to 64GB, and $50 to go from 16GB to 32GB (with the 1st Gen Air). So they are rather inconsistent on how much they feel NAND is worth.